Two of the most talented classical musicians of the new generations collide in the ultimate duel – violin vs piano. 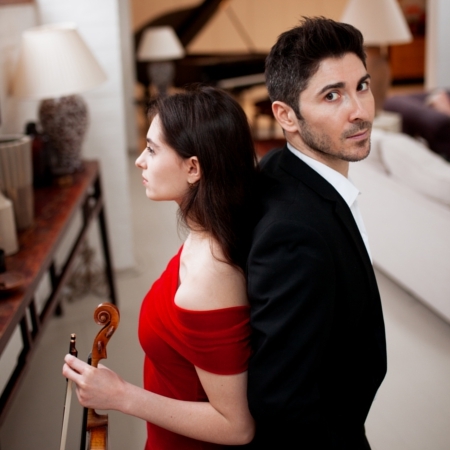 Both young and yet already highly praised world class musicians and masters of their craft, Italian pianist Niccolò Ronchi and French violinist Esther Abrami battle it out metaphorically against one another to assert the supremacy of their instrument over the other. Showcasing several of the most beautiful pieces ever written for the two instruments, the two will ultimately combine to portray the nuances of the human soul. The show is free of charge – however you will be asked to provide an email address to enter. Entrance is on a first come first serve basis. Pre-registration does not guarantee access but by pre-registering, you can skip the lines and check-in faster.